My memory for this week is one that will stay with me forever. On Saturday two of our close friends got married! 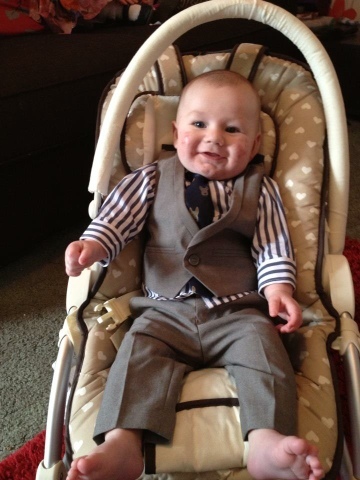 It was the first wedding both of the kids have been to and Zach got to wear his first suit (how smart does he look?!). I was so excited to dress the kids up smart for the occasion and the whole day was just amazing with no dramas. I had so many comments on how well the little ones behaved and they both had a lovely time. We were so happy to be there on such a special day for the happy couple. Congratulations Mr & Mrs Goodreid!